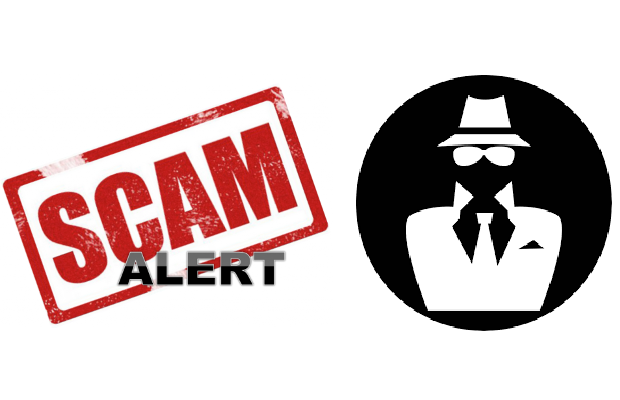 Phishing websites and scammers are back! After the HF20, the activity of the scammers seemed to have been stopped thanks to the new Resource Credits system. 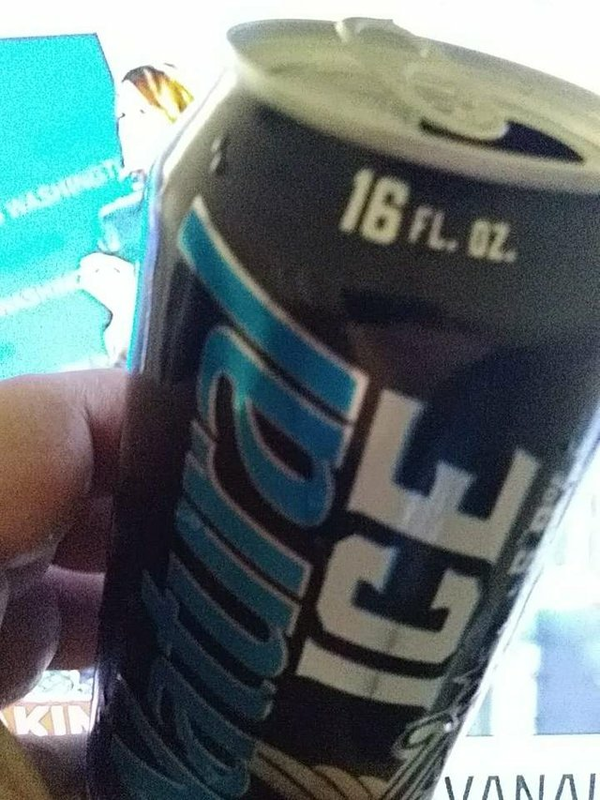 It was too good to be true and it looks like are back. Be careful! I already warned you about several scam attempts (see bottom of this post for a list of them). Here is a new one. The site is a simple “static” website created using the gooyaabiteloates.com website creator. 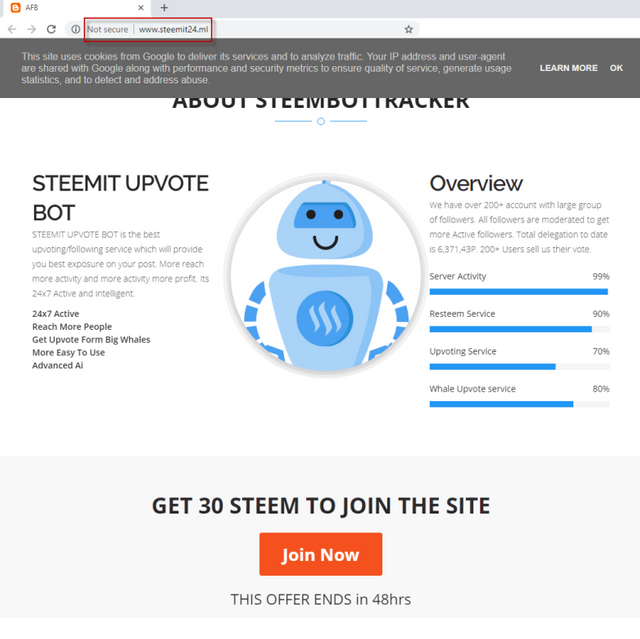 On the website, your are invited to click on a “Join Now” button to get 30 free STEEM. 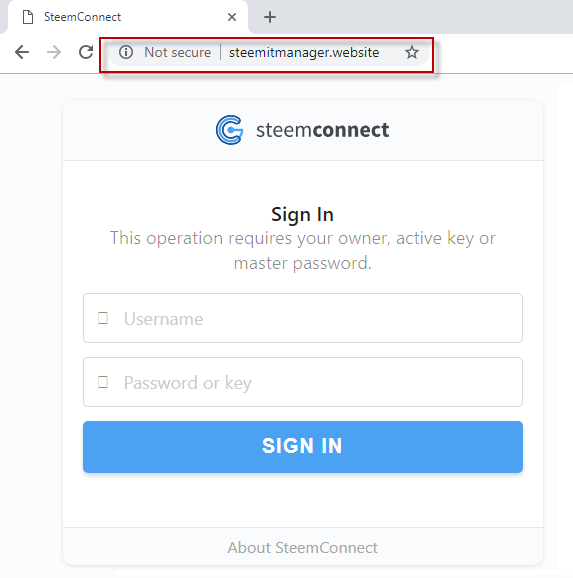 The website looks EXACTLY like steemconnect.com, but its behaviour will differ as it clearly want to steal your credentials to hack your account! Phishing is the attempt to obtain sensitive information such as usernames, passwords, and credit card details (and money), often for malicious reasons, by disguising as a trustworthy entity in an electronic communication. This phishing scam has been added to the black list of my Warning-Bot and it will issue warnings with a link to this post, notifying users of the malicious activity of those accounts. I'm always concerned that so many applications even ask for master passwords even though they clearly don't need it. Maybe it could be encuraged to not ask for it in general. So you would think twice when you are asked. Thanks for helping to keep us all safe. You are welcome. I am happy to help and inform the user on how to protect themselves. The scheme varies a bit... but not much, their technique is always the same. 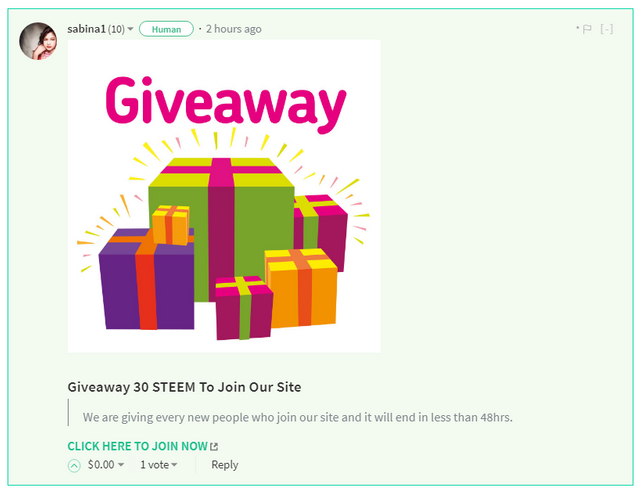 Convince the user to go to some other site - most times a clone of SteemIt.com - and then ask users to login with their Steem Account. It's a pity that many users keep falling for this trap. Well, but at least, now the scammers will have a little more trouble replicating all the messages, since they will exhaust their RC very fast. It's a pity that many users keep falling for this trap. This is why we must continue our education effort and continue to inform users again and again. at least, now the scammers will have a little more trouble replicating all the messages, since they will exhaust their RC very fast. also anyone with a rep below 25 automatically arouses my suspicion - especially when they are giving something away! You are doing the actual thing. We are just taking advantage and doing easy one! Your UA account score is currently 7.762 which ranks you at #41 across all Steem accounts. Your rank has improved 1 places in the last three days (old rank 42). In our last Algorithmic Curation Round, consisting of 299 contributions, your post is ranked at #34. Thank you for warning us about this! Do your own research! 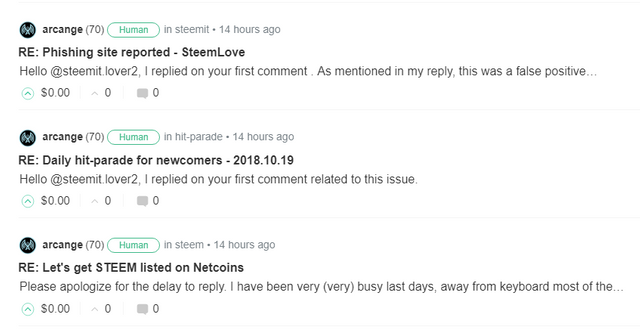 I replied 3 times to you!